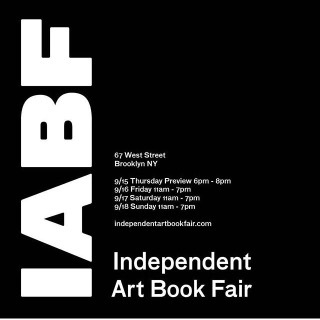 The inaugural IABF will take place in the newly renovated extension of the iconic Brooklyn arts building at 67 West Street on the Greenpoint Waterfront. Greenpoint terminal Warehouse is within proximity of MoMA PS1 and the concurrent New York Art Book Fair. IABF aims not only merge art + books, but also elaborate on a weekend dedicated to editions, publishing and the documentation of artistic practice.